When you look at people who achieve greatness and are an inspiration to others, be they chefs, musicians, scientists, athletes, fashion designers, architects, or businessmen, they all share a common denominator. Passion. Followed by commitment and perseverance. It may sound cliché and obvious, however passion has much more dedication and zeal to it than we may think. It's not just about recognition and being in the spotlight. Passion needs to be constantly nurtured, fueled, caressed with affection and attention, for it not to fade. It takes courage, stamina, and the firm conviction that the sky is the only limit. I have done many things in life. I have been the best, average, and the worst. I explored various paths, at a certain point always lacking patience or seeing no point in committing more, wondering what was wrong with me, only to discover, and that after becoming a certified DISC trainer, that my real passion was people. It was that simple and that complicated. I understood interactions with others gave me more energy than anything else, and that I could motivate them and have a positive influence on their decisions. Over the years, I have developed quite a good awareness of myself. I know myself. My strengths, my weaknesses; I am not going to say my limitations, because I do not believe in them and I have always steered clear out of the way of people who tried to impose and kind of boundaries or limits onto me. There is no need for such negativity in my life. Things are already often quite complicated per se. However, discovering the power of DISC took me to a completely different level. To quote Steve Jobs, it allowed me to connect the dots of my life backwards. Things made more sense, they fit better in the big picture. 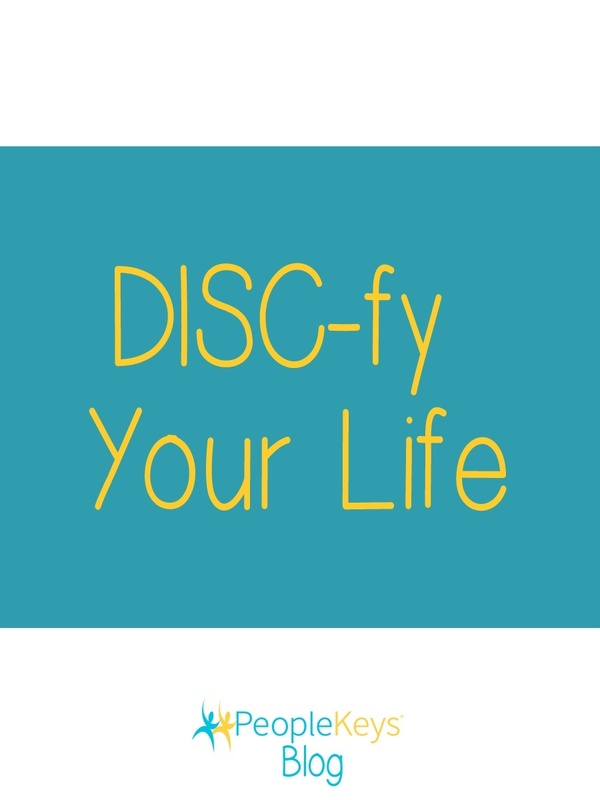 Skeptics will say that DISC is like a horoscope - you read the report and then make things happen on purpose instead of forging your own path. I strongly disagree. DISC neither limits nor labels. It traces the outline of our strengths, hints at how to manage our weaknesses, and suggests what could be the best way to canalize our energy. It teaches us what irritates us and what soothes. It shows us how to become better in our personal and professional life. But whether we seize that opportunity, how we decide to do it, and how we interpret and domesticate our personality is entirely up to us. We write our own version of out story, according to our instincts and experience. No one else can do that. Behind the greatest discoveries in our lives, there is always a person. Someone who never told us what to do or how to do it, but always asked the right questions and patiently waited for us to come to some constructive conclusions. And blossom. My person is Ian Tan from Lifeskills Enrichment, Singapore. An amazingly humble, patient, calm, and inspirational DISC believer, able to stop in awe in front of the small daily wonders that most people fail to notice and to learn from every client. I have had the honor and the pleasure to do a training and have many eye opening conversations with him. Without Ian, I wouldn't be where I am now - ready to DISC-fy the lives of others, so that they make the most of who they are are. It will save their time and energy, be fun, teach them the easiest and more natural path, and make them excel at what they do, so why not to give it a shot? This guest post was written by Matylda Roszkowska. Matylda, a primary I, has a knack for striking up conversations with perfect strangers and buying fancy toilet brushes. She divides her time between promoting DISC solutions and conducting trainings with her company simple+effective, sizing every opportunity to motivate those around her, and practicing how not to overwhelm people with her enthusiasm and how talk less.